How Unearthing An Old Marriage Certificate Led To Writing A Romantic Suspense Trilogy. Merryn Allingham Tells How Daisy's Story Took Shape. In recent weeks, I have blogged about sequels and welcomed Carol Rivers, who shared some of the secrets about her long-awaited sequel to Lizzie of Langley Street - The Battle For Lizzie Flowers. Carol's visit was followed by visits from two trilogy authors, Jacqueline Farrell and Jessica Redland. This week it becomes a trio of trilogy authors. 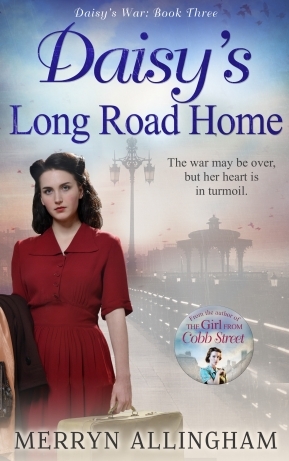 I am delighted to welcome Merryn Allingham, who is here to talk about her recently-published Daisy's War trilogy - The Girl From Cobb Street, The Nurse's War and Daisy's Long Road Home. At what point in the process did you relaise you had a trilogy on your hands? Did you set out to write a 3-book story about Daisy or did her story just grow? I had no idea I was going to write a trilogy when I began. The idea for the first book came when I unearthed a marriage certificate – my parents' - from a pile of papers at the back of a cupboard I was clearing. My mother travelled to India in April 1937 and was married in St John’s Afghan Church in what was then Bombay. Even now India is exotic, hitting you in the face with its difference. But in the 1930s, the journey took three weeks at a time when most people rarely ventured far beyond their home. I tried to imagine how it must have been for a working-class girl who had never been further from London than a day trip to the Southend seaside, to travel to what was an alien world, thousands of miles away, and marry a man she hadn’t seen for some time - six whole years in my mother’s case. And that was how my heroine, Daisy Driscoll, was born. She faced the same hazards in her new life as my mother had - and then some, with a deceitful and desperate husband who leads her into extreme danger. I thought that would be Daisy’s story, but by the end of The Girl from Cobb Street, I knew I couldn’t leave her there. She was still searching for an identity she could believe in, and a love she could trust. I was certain she was going to have more adventures. And equally certain that eventually she would reach safe harbour, even though it meant one book had turned into three! I imagine that the hardest part must have been making sure that books 1 and 2 were complete in themselves. Is this what you found? How did you tackle it? The books, as you say, have to be complete in themselves, yet also connect to the rest of the series. And each book must have a satisfying resolution, but one that still leaves the reader wanting more. Quite a challenge! Before I wrote the trilogy, I’d never really thought about the particular problems it posed. I suppose I saw it as three books that simply followed on from one another, but it soon became clear that it wasn’t that easy. I realised I needed to think in terms of an overall shape, a kind of umbrella under which each title could shelter. This meant employing overarching themes such as my heroine’s continuing search for her identity, her gradual building of a belief in herself, and her looking for and finding a lasting love. Then there was the need to develop the main characters over all three books and to ‘tie up’ loose ends for some of the minor characters who reappear. The plot itself presented another difficulty, since not every reader can be expected to make their way through the trilogy from first to last book. 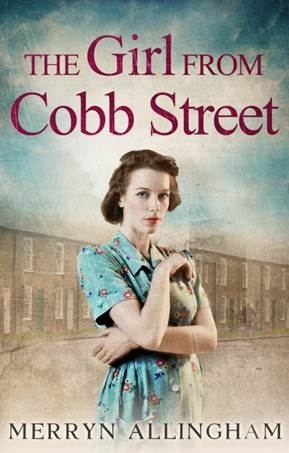 A reader starting in the middle will need a little background, some knowledge of what happened to the main characters in The Girl from Cobb Street. On the other hand, a reader who has read the earlier book, will be bored by a lengthy summary of what went before. It’s a tricky balance. Following Daisy through three novels, did you feel you grew to know here more deeply then others characters of yours? What makes her special as a character? Daisy was certainly the character that pushed me into writing more books than I intended. She is brave and determined, a complex mixture of vulnerability and strength, but someone who, at the beginning of the trilogy, is still in the process of being formed. She’s forced to make her way through life as a poor orphan, and if that isn’t hard enough, finds herself beset by secrets and danger at a time when she should be at her happiest. Bad things happen to her, but she fights every inch of the way, and by the end of Daisy’s Long Road Home, her courage has been rewarded. She finds what she’s been searching for and becomes the person she was always meant to be. What I particularly enjoyed and admired were your descriptions of the Indian setting. What made you set part of Daisy's story there? As I mentioned, the trigger for Daisy’s story was my discovery or rather rediscovery of a very old marriage certificate. But India seems always to have been in my heart. My father loved the country and would tell me stories of his life there, and together we’d go through the small, scruffy album of black and white ‘snaps’ that he and his comrades had taken. Even though the images were tiny and monochrome, they made me want to visit. I got the chance a few years ago and made the trip to Delhi and Rajahstan and Uttar Pradesh. The memories of the journey and the countless photographs I took, gave me the setting – the look, the smell, the colour and texture of the region. Indian rural life must hardly have changed since my parents’ time. The British Raj has proved less permanent but provided me with the tensions that left Daisy isolated and battling her fate alone. I knew something of those tensions from my own family. My mother’s pleasure in the social life of the sergeant’s mess changed abruptly when my father climbed the ranks and became part of the Officers’ Mess with all its subtle discriminations. Her reaction to this very different social world was stark. She never felt she belonged and every mess ‘do’ was an enormous trial for her. It was into this milieu that I plunged an ill-prepared Daisy. She, too, is confronted by a world she doesn’t understand, one in which hierarchy and status are all important and iron- backed memsahibs rule. Is there anything you know now about writing a trilogy that you wish you'd known back when you started? I wish I’d known that I was writing a trilogy! I don’t plan my novels in great detail, but if I’d realised the story would be sustained over three books, I would have thought the project through more carefully and saved myself some frantic rewriting. 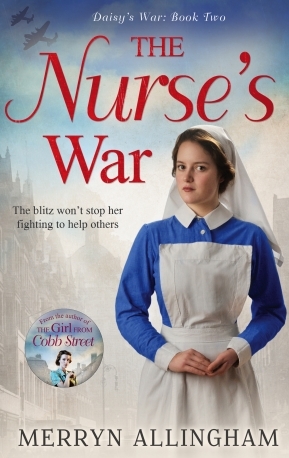 I was half way through The Nurse’s War (the second part of the trilogy) before I realised I’d have to go back to the first book - it took a while for the penny to drop! There were questions I needed to raise in the reader’s mind, hints of future developments, and those overarching themes to emphasise. Fortunately, I was still at the stage when I could do that, but it would have been a good deal easier if I’d known from the outset that I would be writing three books. What will you write next? Any plans you can share with us? The next project is almost finished, a two book romantic suspense series, that should be published later this year. This time the books are linked through a place rather than a character. The first novel is set in the long, hot summer of 1914 and the second thirty years later, in the summer of 1944. Both were crucial moments in this country’s history. The setting is Summerhayes, a large house and estate in Sussex that boasts an amazing garden. The gardens offer a rare beauty and should be a place of calm and tranquillity, but the estate is riven with conflict – between neighbours, within the family itself, and, of course, conflict on a far larger scale with the rumblings of war in Europe growing louder every day. The Button Maker’s Daughter follows the fortunes and misfortunes of the Summer family, particularly my heroine, Elizabeth, from May 1914 to September of the same year, when thousands of men walked into recruitment centres to volunteer, signalling the real start of the bloodiest war ever. There’s a new heroine for Schoolmistress at Summerhayes but the buttonmaker’s daughter isn’t forgotten, and the two novels are linked through theme and character as well as setting (to say why would give too much of the plot away). In the summer of 1944, Summerhayes is a shadow of its former glory and is being used by the military as a training ground and jumping off point for the invasion of Europe. Once again the estate plays a role in world events - the troops stationed in its grounds take part in the Normandy landings which lead to a final defeat for Germany. And once again, too, it becomes the setting for an unlikely romance and the darkest of deeds. Merryn, thank you so much for joining me today. The Summerhayes books sound wonderful - I'll look forward to reading them. Merryn Allingham worked for many years as a university lecturer and between job, family and pets, there was little time to do more than dabble in writing. But when the pressures eased, she grabbed the chance to do something she’d always promised herself – to write a novel. She’d taught 19th century literature and grown up reading Georgette Heyer, so it seemed natural to gravitate towards the Regency period. 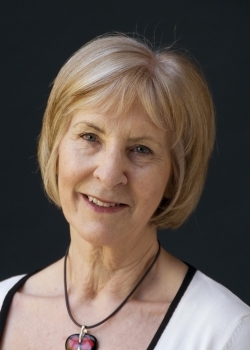 Under the name of Isabelle Goddard, she published six Regency romances, but in 2013 adopted a new writing name and a new genre. The romantic suspense trilogy of Daisy’s War is the result. The books are set in India and wartime London during the 1930s and 1940s and the first of the trilogy, The Girl from Cobb Street, was published in January last year. Wonderfully, it spent two months in the top 100 paid kindle chart. The Nurse’s War followed in May, also going into the top 100 chart, and Daisy’s Long Road Home followed in August, 2015. Hi Jen. Thanks for commenting and it was good to hear the interview was helpful. I've found writing a steep learning curve, and it doesn't seem to get much easier! I hope you enjoy Daisy and her adventures - as you can imagine, the books have a special place in my heart. Thank you for your thought, Jen. I'm sure you will enjoy Merryn's books. The Indian setting is beautifully drawn and shows Merryn's skill as a writer. I very much enjoyed this post, Susanna and Merryn, and from the perspective of both a reader and a writer. As a writer, the insights about crafting linked books are invaluable. And as a writer, this interview has introduced me to a new author. I look forward to reading your books, Merryn, and am intrigued by both the Indian setting and links with your family history. Thank you for your thoughts, Wendy. I agree with you about The Girl From Cobb Street. I was entranced by the Indian setting, which Merryn conveys so beautifully. Thank you for those lovely supportive words, Wendy! Merryn is a wonderful author and I loved The Girl from Cobb Street (I have the others in the series and am looking forward to reading them. I shall be very interested to see the transition to romantic suspense (though I have no doubt these books will be just as successful. Thank you for your kind words, Jan. It's probably just as well I didn't know I was writing a trilogy - I might never have started! Thanks for your comments, Jan. I'm so pleased you enjoyed the interview. I agree with you - the hardest part about writing the trilogy must have been making sure each book could also stand alone as an independent read. I do admire Merryn for achieving this so beautifully.